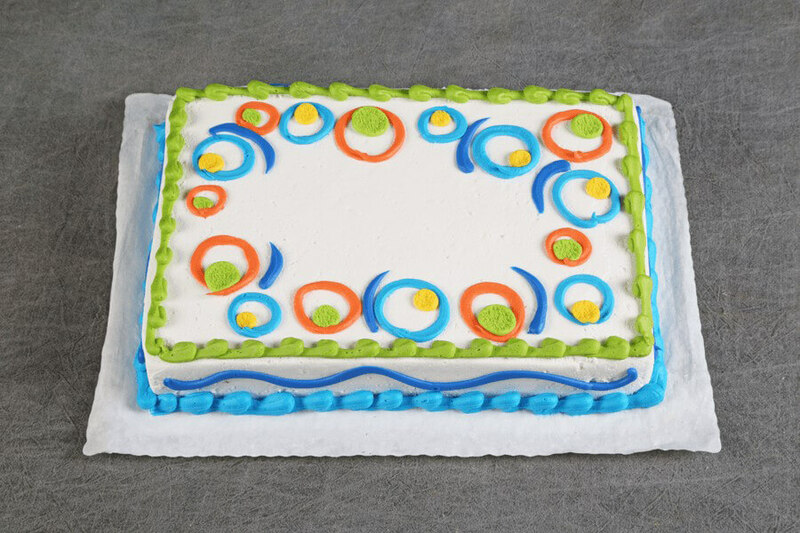 (1/4 sheet serves 12-24) UltramoistTM vanilla cake frosted with vanilla buttercream frosting. Finished off with bright birthday design. (8" serves app 12) Four Layers of dark UltramoistTM chocolate cake filled to the brim with 3 layers of chocolate holland creme finished off with chocolate whipped and then covered in chocolate ganache. (6" square serves 6-8) Two layers of UltramoistTM vanilla cake sandwiched and frosted with vanilla buttercream frosting. Finished off with a seasonal decoration. Bow color may vary.